For the longest time I hated brittle. Specifically, peanut brittle. Probably because when I was a little girl – and up to when I was an awkward teen with a bad perm-mullet combination – I would get as a present a box of peanut brittle. I’m sure it was good – back in 1962. I think those boxes of peanut brittle were left over from someone’s bunker during the Cuban Missile Crisis and they were distributed as gifts until the bunker supply ran out. A few years ago, I was looking for ideas for healthy snacks to bring to work. I wanted to find something easy to make and that was delicious. Basically, something that didn’t leave me miserable and unsatisfied and eventually would lead me to go to the vending machine. 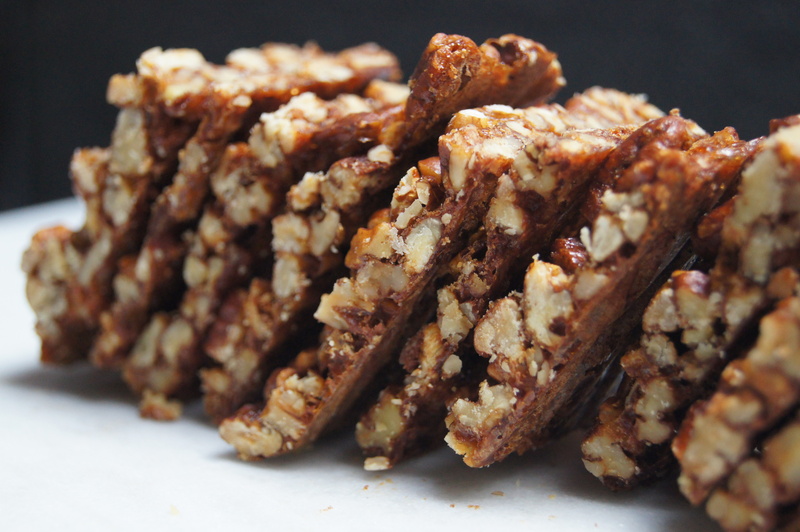 The blog, Elana’s Pantry, has always been my go-to place to find paleo baking ideas. I don’t think I’ve ever baked anything off of her site that I didn’t like. So I thought I would go through her blog and see what I could find for snack ideas. I came across her recipe for Cinnamon Pecan Brittle and remembered my peanut brittle bunker trauma. But despite that, I read her recipe through and thought I’d give it a try. It was insanely easy to make and more importantly, tasted really good. 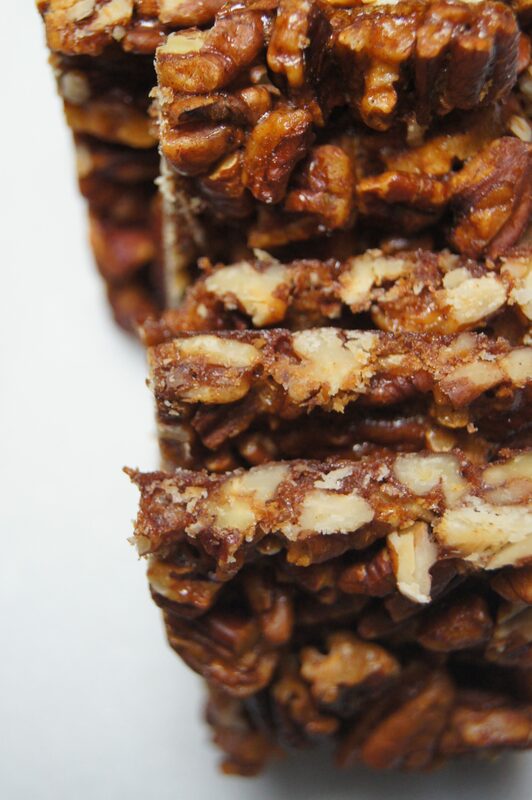 The flavors balance out each other nicely and the cinnamon doesn’t over power the brittle. And when the brittle finishes baking and you take it out of the oven it smells like Christmas. Such a nice, comforting aroma. 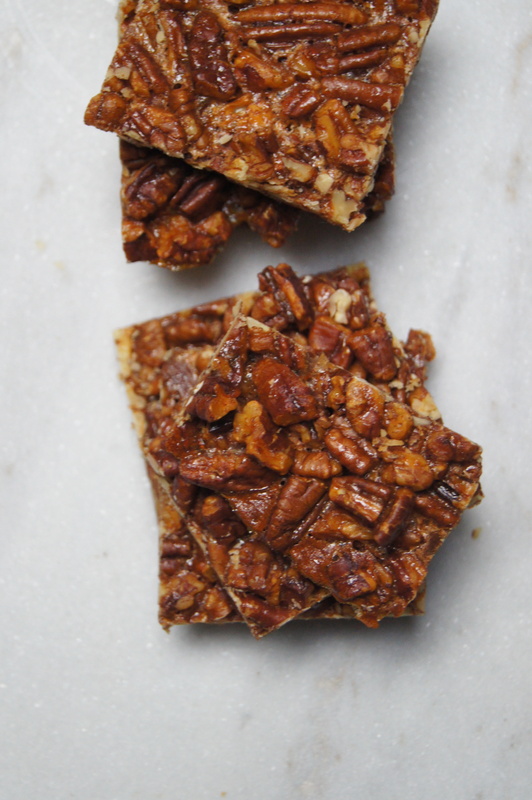 And speaking of Christmas, this Cinnamon Pecan Brittle is great for gift-giving. It’s many steps above the Cuban Missile Crisis-era peanut brittle that I used to know. In a large bowl, whisk together egg white, honey, salt and cinnamon. Toss nuts in the egg white mixture to coat. 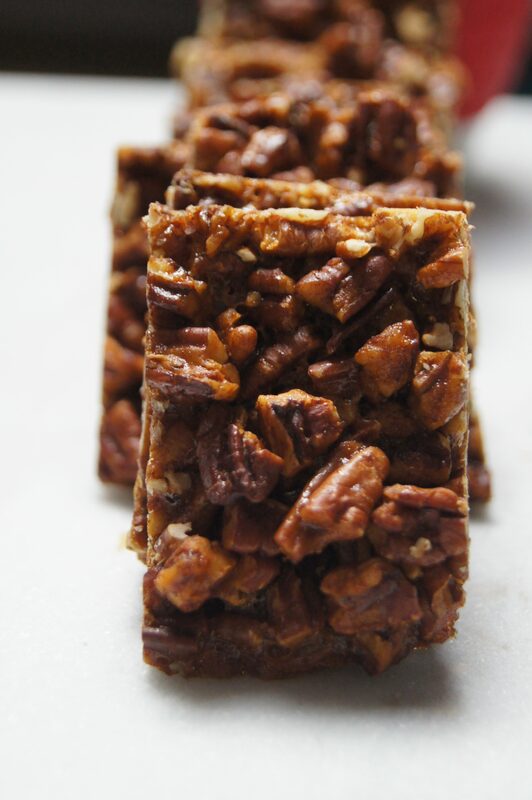 Pour nut mixture onto a parchment paper lined baking sheet and spread into a single layer. Bake at 300° for 25-30 minutes, until nuts are browned. 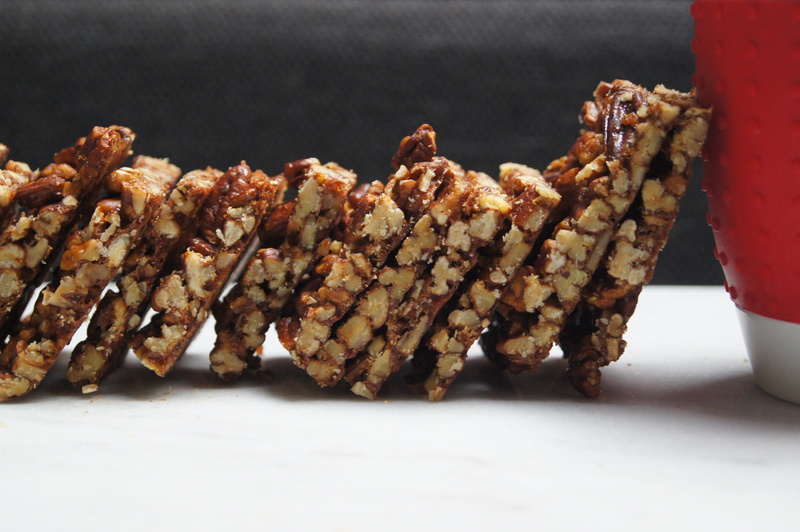 Allow nuts to cool for 5 minutes, then break apart and serve.